Definition at line 107 of file CCopasiXMLParser.h. Definition at line 151 of file ListOfModelParameterSets.cpp. Definition at line 159 of file ListOfModelParameterSets.cpp. Definition at line 275 of file ListOfModelParameterSets.cpp. 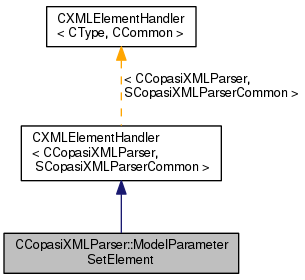 References SCopasiXMLParserCommon::CharacterData, CCopasiMessage::EXCEPTION, CModelParameterSet::getKey(), CCopasiXMLParser::mCommon, MCXML, SCopasiXMLParserCommon::ModelParameterGroupStack, CExpatTemplate< CExpat >::mParser, SCopasiXMLParserCommon::pCurrentModelParameter, CAnnotation::setMiriamAnnotation(), START_ELEMENT, and UNKNOWN_ELEMENT. 344 // Content may be repeated therefore we set to the previous element which is ListOfUnkownAnnotations. 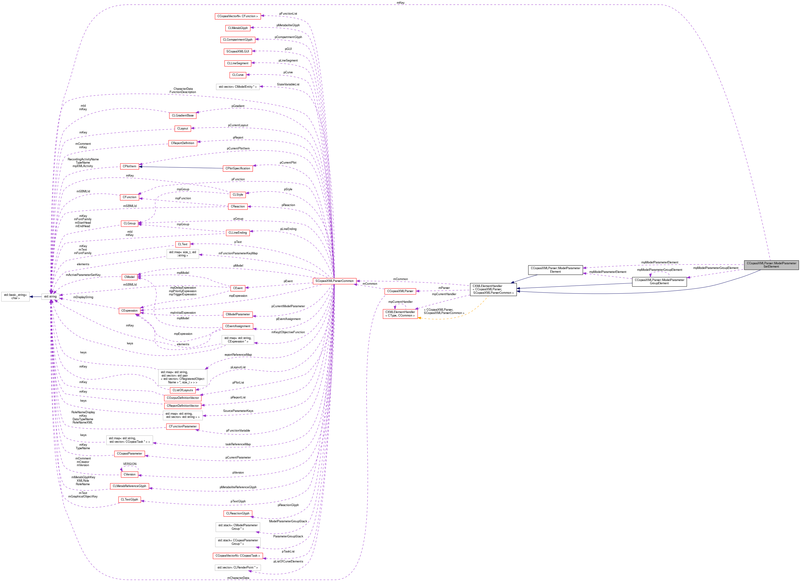 Definition at line 165 of file ListOfModelParameterSets.cpp. References CCopasiVectorN< CType >::add(), CKeyFactory::addFix(), CCopasiMessage::EXCEPTION, CModel::getModelParameterSets(), SCopasiXMLParserCommon::KeyMap, CCopasiXMLParser::mCommon, MCXML, SCopasiXMLParserCommon::ModelParameterGroupStack, CExpatTemplate< CExpat >::mParser, SCopasiXMLParserCommon::pModel, CCopasiObject::setObjectName(), and UNKNOWN_ELEMENT. 187 // Element specific code. 195 // We need to resolve naming conflicts. Definition at line 155 of file CCopasiXMLParser.h. Definition at line 165 of file CCopasiXMLParser.h. Definition at line 160 of file CCopasiXMLParser.h.